Welcome to the homepage of De Argonauten, a Scouting group from Rotterdam. Our group is an all-boys Sea Scout group and is divided in four sections. The Bevers (Beavers) are boys with age 5 to 7 years. Every Saturday morning they get together in Bergschenhoek to play, discover and to have fun. The Welpen (Cub scouts) are boys of age 7 to 11 years. They also gather at Saturday mornings. 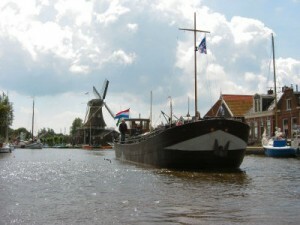 Their clubhouse is a 25 meter ship called ‘De Hoop’ – which means ‘the Hope’. In 2008 we celebrated her 100th birthday. The ship is still in very good condition and has even got a monumental status. The Verkenners (Explorers) are boys with age 11 to 16 years. The Cub Scouts have their own ship, the Verkenners have their own island! At the island Kolchis in the Bergsche Achterplas they get together every weekend at Saturdays and Sundays. Sea Scouts like being on and in the water, so they go sailing, swimming and playing in the water. Besides all the fun, there is also time for instruction. 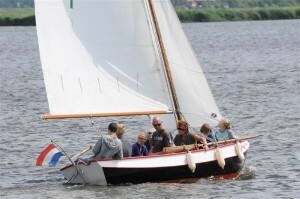 The boys learn how to sail and in a few years they can be awarded several sailing diplomas. Finally we have the Zeearenden (white tailed eagles). When Verkenners reach the age of 17 they can be invited to join the Zeearenden. Since they are experienced Seascouts they have their own program. Sometimes they join the Verkenners, when some extra help is needed, or just because it’s fun. The rest of this website is in Dutch, although that should be no problem for the photo albums (from the menu: Leden Info -> Foto’s). If you happen to be near Rotterdam on a Saturday, you are welcome to pay us a visit. Please contact us using leiding@argo8.nl.